Ever notice how incredibly stealth and strong a child becomes when it’s time to take medicine? Just as you grab the bottle from the medicine cabinet, those little boogers disappear into thin air. Then, once you find them (because we all know they can’t keep quiet), you try to convince them to at least try the medicine. They look at you like you’re crazy because the last time you gave them medicine it tasted like….medicine. So instead of negotiating you resort to sheer physical strength, only to realize an adult is no match for a 5 year old who doesn’t want to take medicine. I’ve learned over the years there are some tips for getting your child to take medicine and they should be shared with all parents. Let your child take charge. It’s tough to do, isn’t it? But just like we have to do with some adults, if we let our children think they are in charge, it gets the task at hand completed with less resistance. Turn it into a big production. I for one do not like nasty tasting medicine either but because I’m an adult (most of the time) I realize the cost-benefit analysis. I take medicine, I feel better, I can be productive. For a kid, taking medicine that tastes bad is worse than the condition the medicine is for. In that brief 15 seconds of time, it’s the worst time of their lives. There are variety of different flavors of medicines for kids but one that I’m sure my daughter will be eager to try (and I’m not going to lie, I want to try it too even though its for kids) is Dr. Cocoa for Children. Many kids love the taste of chocolate, which makes it easier convince them to try it. What I like about the product is that it’s dye, alcohol and gluten free. There are three formulations: Nightime Cough + Cold, Daytime Cough + Cold and Non-Drowsy Cough. Make sure you read the labels to ensure you’re getting the right formula for your child’s symptoms AND their age. 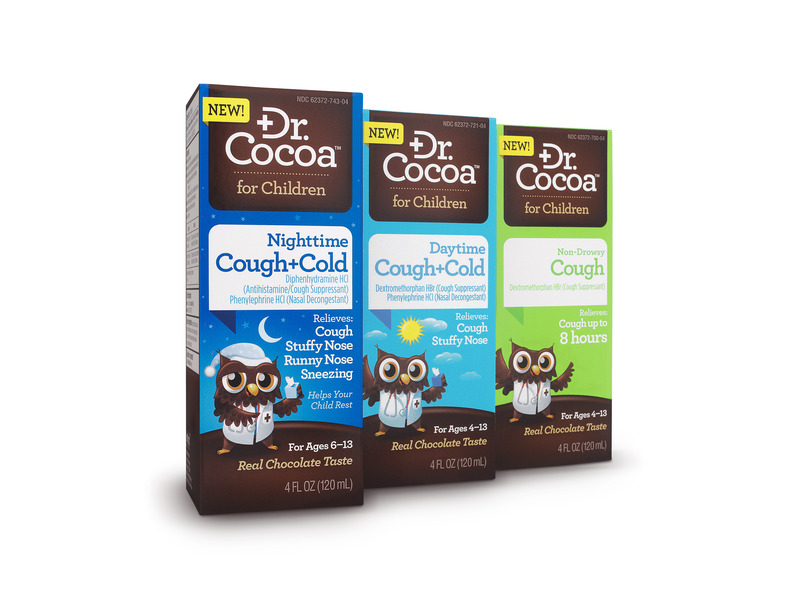 The next time my daughter has a cough and cold and needs a little medicine, she’ll be trying Dr. Cocoa for Children. Right now you can get a $2 coupon and enter to win one of their cute hand puppets!